A child with a fever can be a really frightening thing for parents to deal with. 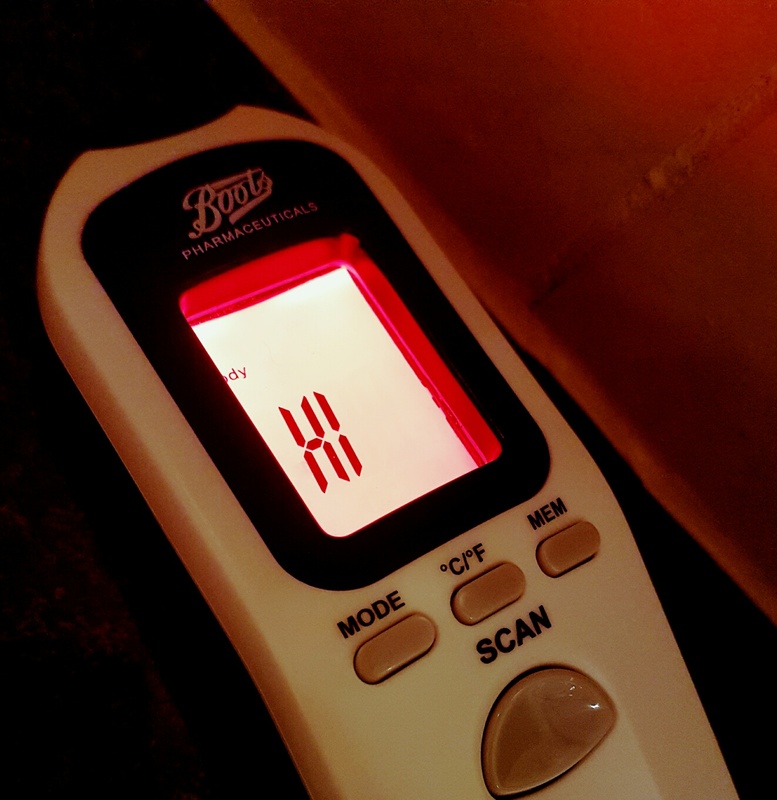 Normally, a temperature higher than 37.5°C (99.5°F) is considered to be a fever. You will learn what your child’s ‘normal’ temperature is and therefore you’ll also know when they are hotter than normal. If your little one is sick and has a fever, it most likely means their body is fighting the infection. A fever, although scary for us parents is actually a normal response to illnesses like the flu or chickenpox, because a higher body temperature makes it harder for bacteria and viruses to survive. Fevers are very common in children and most of the time there is no need to worry, but of course as parents we always do and we want our children to get well as quickly as possible. Keeping children hydrated is really important when they have a temperature, little ones can quickly get dehydrated so be sure to offer your child regualr sips of water or juice, whatever they are happy to take. 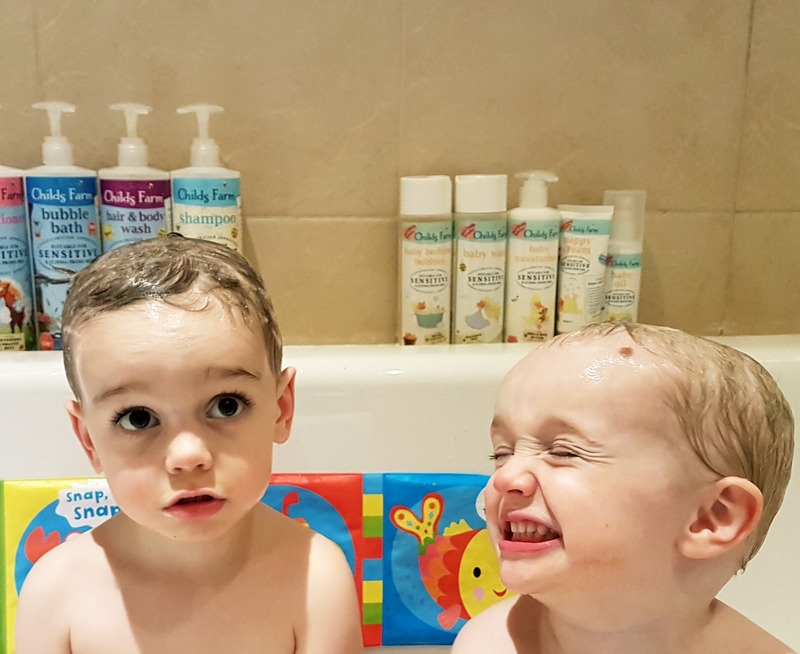 Fevers, like many things do tend in the main to just run their course but if you are concerned about how elevated your child’s temperature is beyond their ‘normal’ there are a few things you can do. One of the most effective ways I have found to keep a child’s temperature under control is with a cold flannel on the head. Children can be fussy though and many will not appreciate a dripping flannel or towel on their heads. Also, if they have a high temperature the flannel or towel won’t actually stay cool for very long. I normally dampen a flannel and pop it in the freezer for about 15 minutes. That way it will stay colder for longer and you don’t have the issue of the flannel dripping on them. When I have been really worried about a very high temperature in one of the children I have resorted to popping them into a tepid bath. Not cold, and that is really important, you don’t want to shock them and they need to actually be able to sit in it. It’s always worked really well for getting a temperature down. It doesn’t mean it won’t spike again but at least it’s another way to keep them cool for a while and if they are up to it a play with some toys in the bath can also be a welcome distraction. It’s interesting how the advice changes over the years with regards to children’s medicine. When I had my first child for example the advice following vaccinations was to give Calpol as a precaution. By the time I had my third child, it had changed to, only give it if they get a fever. Although we certainly don’t give medicine lightly, we always have these in the house just in case we need them and I travel with them as well. You can bet your life that weekend away when you think you won’t need it, you suddenly do. Three out of the four children have always been good at taking medicine, which isn’t bad I suppose. 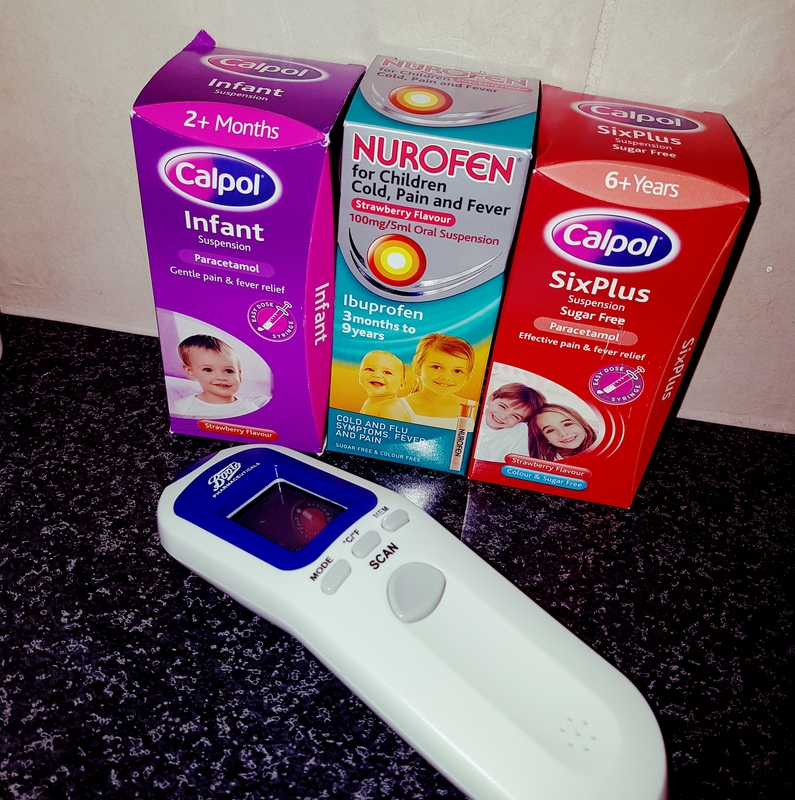 If you are worried about a fever that isn’t coming down you can try these – always read the label and make sure you follow dosage instructions, and don’t be tempted to give more if a child is sick as you can never be sure how much they have retained. Sounds obvious but try to keep them as cool as possible by stripping children down. Not so they are shivering of course, but take of enough layers that they can begin to cool down themselves. Perhaps open a window or have a little walk outside to help as well. This might sound a little bit bonkers, but as parents we will try anything to see if it works. One of the real worries as a parent when a child has a fever can be the child’s temperature rising during the night. Often we might find we can get the fever down before bed by having a tepid bath, and perhaps a dose of Calpol, but that might not last long during the night. If the flannel from the freezer isn’t cutting it, you could prepare for bedtime by popping the child’s duvet or blanket in a bin bag and if you have one, and popping the bag in the chest freezer for about 40 minutes. It will stay cool for quite a while once over the child and might just give you a bit more piece of mind overnight. How do you manage a fever? I’d never thought about flannel in the freezer. Great idea! great tips! used to love calpol!